Contents- total 8 main chapters are given. Sections-here all 37 chapters of Kent repertory are written in serial order in one half of the page and alphabetically on the other half of the column. References- here author gives total 33 references. Each reference is given code from 1-9 and then continues from A-X. Each book has been given different code. PREFACE—in preface we can read following points. Why this repertory is needed? Author says, he did not know anything about chronic diseases or miasms before 1947. One of the student from his college (Culcutta HMC) gave him the book- “The chronic diseases, their peculiar nature and their Homoeopathic therapeutic cure” by Samuel Hahnemann. He read the preface of that book. In preface we know mind of the author & the purpose with explanations for writing the book. Before the discovery of miasms, Homoeopathy though based on the law of similars, had limitations in curing many diseased conditions- acute or chronic, as there was recurrence or failure of symptoms. Author says Hahnemann accepted his failures due to certain reasons but now-a-days we do not do so. We behave as if we know more of Homoeopathy. Hahnemann said, they should do better with the great discovery which he presented to them. Author observed that no one was following what Hahnemann taught. Years have passed but only a few Homoeopaths in the world have followed this “GREAT DISCOVERY” & brought glory to Homoeopathy. Hahnemann after a deep search said that, the true natural chronic diseases are those from a chronic miasm, which when left to themselves & unchecked by the employment of those remedies that are specifics for them, always go on increasing & growing worse, notwithstanding the best mental & corporeal regimen and torment the patient to the end of his life with ever aggravated sufferings. Without understanding of miasm one becomes ordinary or regular Homoeopaths practicing general Homoeopathy, they hit and miss the targets for relief and curing chronic diseases. Hahnemann was failing to cure Homoeopathy from 1796-1816. In the footnote to $80 of Organon of Medicine Hahnemann writes, ‘I spent 12 years (1816-1828) in investigating the source of this incredible large number of chronic affections.’ Author says he was trembling to ask questions of this “GREAT DISCOVERY” of Hahnemann before his teachers & professors who were well known in India, U.K., Germany, USA., and out of all three of them: Dr. B. K. Bose, Dr. G. N. Sinha, Dr. Sir John Weir who were direct students of J. T. Kent. 1st time in 1952 he dared to put a question & suggested a remedy to his teacher, Dr. T. D. Ross of Glasgow. This teacher had a patient with chronic headache which was not better even after 2 years of treatment. Author suggested Tub 1M as the symptoms were psoric & syphilitic, after which the patient was relieved of his headache. After this incident author developed voracious appetite to read, discuss & confirm the validity of miasmatic theory of Hahnemann. His experience: Author underwent surgery in July 1960 for fibro-sarcoma on right forearm at Vellore, India. He was misdiagnosed as Myositis occificans by Indian, German & England doctors and had taken Homoeopathic treatment. Again surgery was done in 1962 in USA- Biopsy – Neurofibrosarcoma. Next surgery in 1964 in India. Again tumor appeared on forearm in 1966 with unbearable pain. No relief with Homoeopathic and allopathic medicines. X-ray chest showed secondaries in right lung upper quadrant. He requested orthopedic surgeon to ampute his right hand as he was not able to tolerate the pain. Later he was operated. Within 48 hours of operation, he got cardiac arrest, which was managed medically. Later he took Stront. Carb 200 in consultation with late Dr. P. Sankaran. After 15 days he went to Kashmir for holidays & stayed there for 15 days. He observed warts in arms & face. He realised that his tumor and warts are alternating. After returning to Baroda, he asked his father whether he too had warts. His father showed him the warts on his neck region. He enquired about his mother who died when the author was one month old, his father confirmed that his mother had warts. He also asked his maternal grandmother who was 94 years old. Even she had warts. Three generations of Sycosis!!! Then author noted down all his symptoms at various stages. He had very bad haemorrhagic small pox at the age of 15 years. He took Thuja 10 M, 2 doses one month apart & then every 2 months one dose for 6 doses. No recurrence of tumor & disappearance of secondaries from the lung were seen. Many Homoeopaths missed the miasms in his case. This led him to study very deeply the miasmatic theory of chronic disease. Author says he read cases described by Hahnemann in foot note pg 49, regarding psoric miasm. It convinced him that 90% of Homoeopaths are missing very important clue to unblock cases of miasmatic origin as it had happened in his case. Author says it was the problem of mixed miasm in his case which no Homoeoapth could diagnose. To understand how to know which miasm is prominent, permanent, supermost, serious & deep rooted, to start the treatment he started the research on the subject & he classified the symptoms of the 3 miasms in a tabulated form for easy reference. It was difficult to know prominent & predominant miasm in a patient since the discovery of miasm till now, because miasms are unfolded fully with numerous symptoms & with various varieties of chronic illnesses or diseases. Miasmatic approach is the only way for the chronic illnesses or diseased conditions to relieve or palliate if not curable. Author says he faced the problem of aggravation of after the use of high potencies beyond 200 in many cases as he was taught to use high potencies. It was permanently solved for him after adopting 50 millesimal potencies. Then followed problem of side effects of allopathic ‘wonder drugs’ in chronic as well as acute diseases which made chronic illnesses more chronic & incurable. Discovery of Tautopathy by the author solved 90% of problem for such chronic illnesses i.e., with iatrogenic symptoms. Author says that he was made very much obsessive to use Kent’s repertory by his teachers- Drs. John Weir, Foubister, Templeton & Margery Blackie. He used to spend hours in hunting rubrics of the patients for tabulation & finally counting total marks. Many times he felt dejected & disgusted to use & refer Kent’s repertory because he was unable to find certain rubrics during consultation. Even if you know that these rubrics are present in Kent’s repertory, at times it is difficult to remember & find where they are. So he prepared word index with rubrics of the whole Kent’s repertory in 1967. Then again he faced problem in arranging the symptoms in hierarchy, order of importance or level on miasmatic order. To standardise miasmatic classification of symptoms on universal line & use, he finally selected Dr. Kent’s repertory, 6th American edition as it has been used for his work on Analysis & evaluation of rubrics/symptoms of Dr. Kent’s repertory, so that both the works have uniformity for general as well as miasmatic classification of rubrics/symptoms during general repertorization & miasmatic repertorization depending on cases. Dr. Kent’s repertory is more reliable, dependable, systematic & a general repertory which has stood the hard & acid tests of confirmation, verification & repeated verifications by cures for nearly 95 years. Now if from general symptoms, miasmatic symptoms are separated & from which “peculiar, uncommon, singular & distinguishing symptoms”, are selected, the remedy selected will be an apt simillimum & the cure will be rapid, gentle & probably permanent, if the miasmatic condition is covered wholly & that cure will be shortest, most reliable & most harmless according to Dr. Hahnemann. Hahnemann’s striking, singular, extra-ordinary & peculiar symptoms are basic miasmatic ones, always hence when the remedy is selected based on these symptoms, it is capable of reaching down deep enough to extinguish or to separate their miasmatic bond from the life force. This is demonstrated in this work with cases & comments. The needs of the patient are seen in the sign & symptoms, but a thorough knowledge of those signs & symptoms are only possible from the knowledge of chronic miasm. For classification of rubrics he followed Hahnemann’s views referring to the “chronic disease”. He classified rubrics into Psora, Sycosis, Syphilis & their latent symptoms. Author says recent trend of classifying symptoms in miasm is dangerous & nullifies original concept of Hahnemann. Every chronic disease is not a chronic miasm. TB, cancer etc are not miasms, but these are products of original miasms: single or in combination. $ 80 and footnote. Rubrics from Kent’s repertory are used here. Instead of remedies against them miasms are written. The reference list is given. Numbers from 1-9 and rest alphabets from A-X are given. 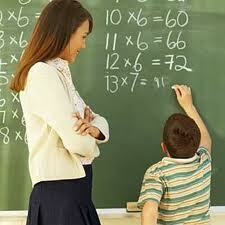 Against each rubric, alphabet from A-X or number from 1-9 is written under that particular column of miasms. Seeing that number or alphabet one has to look into the reference list to know the author and book. This suggests that, that author has classified the rubric in that particular miasm. Not more than 3 authors have been quoted in each column against the rubric as the space is limited. He leaves one more space in each column for readers & users to add their own classification & improve this work for their use. Last 7th column is for those who want to classify rubrics/symptoms in their own way by adding according to their experiences. This pattern is followed throughout the book. We can see same rubric is classified by 2 authors in different miasms. Here 2 authors differ in classification. The reader has a choice to select which author he should follow. Physician should be able to know in a case if it is of simple miasm or mixed miasms. Write the miasm against each symptom & give 1 mark. At the end calculate the marks, you will know which is predominant miasm. If acute symptoms of other miasm appear during course of treatment then don’t consider it as acute miasm or acute diseases. This will complicate the case. Acute symptoms like vomiting diarrhoea, fever, chill, sweating, delirium, agitation, weeping etc. of chronic miasm during treatment or otherwise are cleansing process of the body & mind. If these belong to chronic miasms then these will disappear without any medicine. Patel mentions Hahnemanns earliest classification -in 1816 itch and veneral diseases.Venereal disease was again classified into gonorrhea and syphilis. Here author has given human relationship based on miasms. He says, for better generation we have to study chronic miasms & treat the people homoeopathically. When we have a case of married couple, we can find out the miasm & treat the couple with anti-miasmatic medicine for a better future generation. Hahnemann writes, the power of medicine acting through the mother or nurse’s milk is wonderfully helpful. Every disease in a child yields to the rightly chosen homoeopathic medicine given in moderate doses to the nursing mother is more easily & certainly utilized by the new-borns than is possible in later years. The infants get the psora through the mother & so even anti-psoric medicine given to the mother helps the infants. -We can prevent by treating mother & child for diseases yet to come in her or child’s life. -With Homoeopathic knowledge & understanding of miasmatic diseases we can improve mentally and physically near & dear relatives. Dr. Kent writes, “there is an artistic method which brings the results of repertorization quickly, accurately, miasmatically & curatively.” Dr. J. H. Allen says, “Hahnemann’s striking, singular, extraordinary & peculiar symptoms are basic miasmatic ones.” So when we consider only those PQRS symptoms and repertorize, it gives the miasmatic remedy. This method of repertorization is called as artistic method by Kent. 1. To know which miasm is predominant, prominent, supermost, serious & deep rooted in the patient. 2. What way miasmatic treatment should be given to the patient & how it is to be followed for a complete or perfect cure. 3.Helps to place the symptoms in hierarchy & to know how miasmatic symptoms of each miasm have unfolded in a patient. 1.Miasms are not mentioned in many of the rubrics. 2.As only miasms are mentioned this repertory is not useful for systematic repertorization to arrive at the similimum.